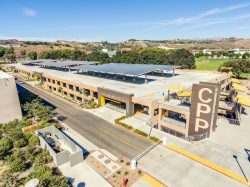 IPD is Architect of Record for the Parksmart certified Cal Poly Pomona Parking Structure #2 located in Pomona, California. The 1,800-space parking structure was recently featured in Parking magazine. Click here to read more.